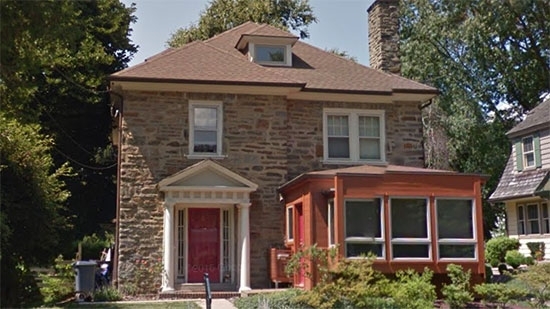 A man has been arrested for killing his brother in his home in Elkins Park, Montgomery County. Cheltenham Police were called out to the home of 64-year-old Harry Bachman to perform a well being check around noon on Saturday. He was supposed to meet a family member for dinner on Friday night and never showed up. A family member met police at the residence on the 400 block of North Sterling Road to let them in with a key. Police found Bachman's body in the basement. There were obvious signs of a struggle and that he suffered blunt force trauma. The victim's red Ford Escape was taken from driveway. Detective's found the car in the parking lot of the Fairfield Inn Hotel in Upper Moreland Township. Montgomery County SWAT arrested Bachman's brother 60-year-old Jamison Bachman. He has been charged with first and third degree murder. Police have not released a possible motive. The Camden County police officer who was shot in the leg earlier this week during a struggle with a suspect has been released from the hospital. Camden County Police Officer Patrick O'Hanlon left Copper University Hospital on Saturday with his family beside him and fellow officers giving salute. His father said, "He’s sore, a little swollen, in good spirits, but he just wants to go home and be in his own bed and relax and get well." The incident happened around 10 p.m. on Wednesday. O'Hanlon was approaching a group of suspicious males when one took off running. He chased after the suspect and caught up to him. During a struggle, the suspect pulled a gun and shot the officer in the leg. 21-year-old O'Hanlon was able to wrestle the gun away and hold the suspect until backup arrived. 19-year-old Delronn Mahan of Lindenwold was charged with attempted murder, aggravated assault, and weapons offenses. He has long previous record. A Delaware County man has been arrested for hiding a loaded gun in a baby's bassinet. Ryan Scott of Upper Darby is charged with possession of a stolen handgun, recklessly endangering an infant child and mother, and other related charges. On October 31st around 11 a.m., Police in East Landsdowne were called to a home on the 700 block of Pembroke Lane. Scott's ex-girlfriend told police she saw him go into the baby's room before leaving the house. She then discovered the gun hidden under a blanket inside the crib. The hand gun was fully loaded with a round in the chamber and no manual safety. Officers arrested Scott when they caught him trying to sneak back into the house later in the day.